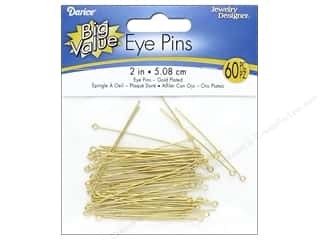 Darice Jewelry Designer Eye Pins 2 in. Gold Plated Brass 60 pc. 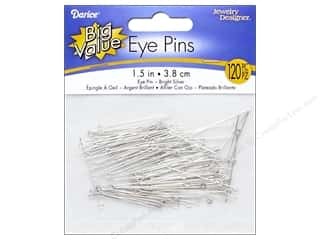 Darice Jewelry Designer Eye Pins 1 1/2 in. Bright Silver 120 pc.